Following the Cleveland Cavaliers’ disappointing exit in the NBA Finals via a sweep, it has ramped up the rumor mill about LeBron James’ long-term future centered on his upcoming free agency decision. 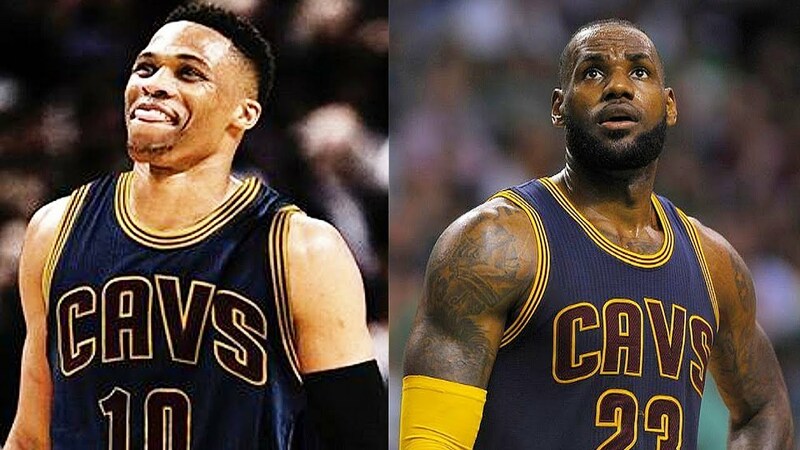 Much of this chatter has been on the notion that James could very well be on his way out of Cleveland, but former Cleveland Browns wide receiver Josh Cribbs has taken to social media to voice that the four-time league MVP is attempting to bring All-Star point guard Russell Westbrook aboard to the Cavs. There has not been any previous talk about this even being a possibility this offseason as Westbrook is currently set to enter the first year of the five-year, $205 million deal that he inked with the Oklahoma City Thunder. His primary focus at this point in time is to help persuade All-Star forward Paul George to remain with him in Oklahoma City for the long haul as he has the chance to sign elsewhere in free agency this summer. It would require much heavy lifting from the Cavs to even have the chance to acquire Westbrook as it would require them to center any trade package with All-Star forward Kevin Love that would likely include the likes George Hill in order to make room in the backcourt. At this point, it’s hard to imagine that the Thunder would move on from the 29-year-0ld given that he’s in the prime of his career and one of the top players in the league. However, Westbrook would certainly fit the bill for players that James is looking for that possess that same competitive nature that could help him get over the top in the NBA Finals. There are plenty of hurdles that the Cavaliers would first have to jump through to even make this is a realistic situation, but it is something to keep an eye on in the coming weeks as the start of the free agency period quickly approaches.